Kenya will next month sign a Sh380 billion contract for the final phase of the Standard Gauge Railway (SGR). Transport and Infrastructure Cabinet Secretary James Macharia said the deal will be inked during this year’s Forum on China-Africa Corporation (FOCAC) that will be held from September 1-5 in China. “We shall be travelling to China on the first week of September for the FOCAC summit and we shall sign the Sh380 billion contract for the second phase of the SGR from Naivasha to Kisumu,” said the CS. Mr Macharia did not name the financier of the second phase, only saying the project is a great opportunity for investors to build industries and houses along the corridor, beginning from Mombasa to Kisumu. The CS said the signing of the deal will put the cost of the complete project at Sh800 billion. Phase 2B of the project will start at the planned Naivasha Industrial Park where Phase 2A ends. It will pass through Narok, Bomet, Kericho counties and terminate in Kisumu where the government will put up a modern inland port. The railway line will have 25 stations — a county station in Kisumu, six intermediate stations, and 18 crossing stations. “The key thing about SGR is that it is the main artery of Kenya’s key development corridor, which starts from Mombasa-Nairobi; what we call the Northern corridor. 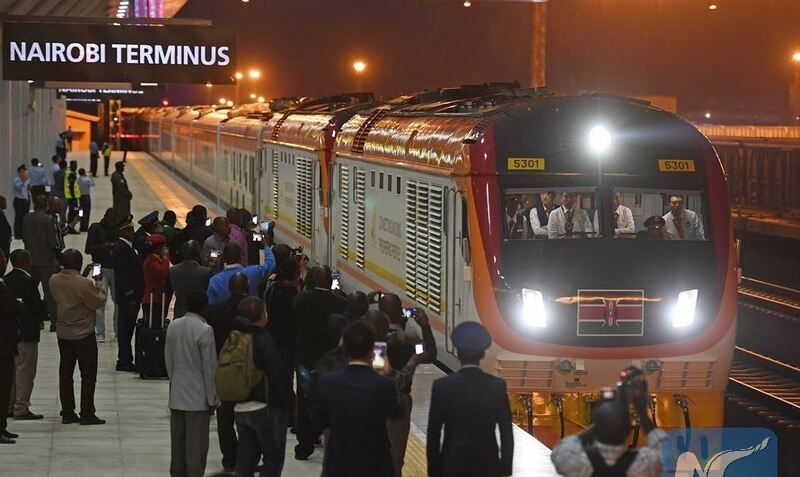 “From Nairobi, it goes to the West, and when you get to Naivasha, one branch (central line) goes through Eldoret and the other one goes to Kisumu (southern line),” he said. The CS was speaking during the Architectural Association of Kenya annual convention at the Pride Inn Hotel in Mombasa.